The race is on! 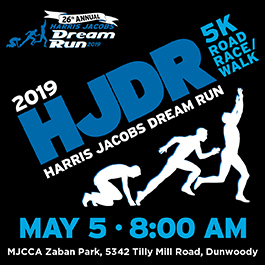 Join the Marcus Jewish Community Center of Atlanta for the 26th Annual Harris Jacobs Dream Run on Sunday, May 5 at 8:00 am. 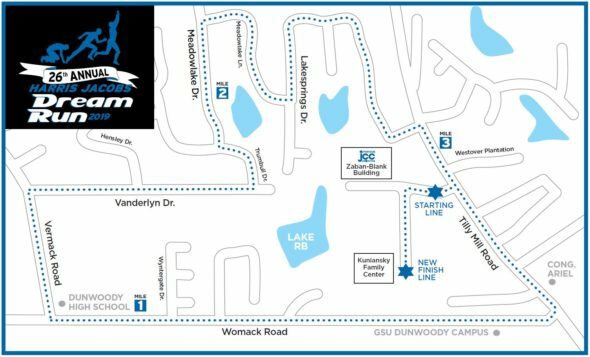 The 5K road race is 2020 Peachtree Road Race qualifier and takes runners and walkers on a challenging course through beautiful Dunwoody neighborhoods. Stay after the race for family-friendly activities, including a rock climbing wall, massages, games, and the Atlanta Hawks Flight Crew. Register at atlantajcc.org/hjdr by April 26 to get $10 off the race day price.